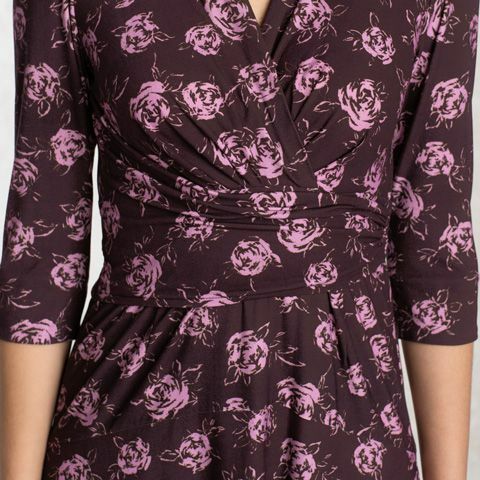 Our popular cache-coeur dress with fit-and-flare style is now available in our pretty pink rose print for a feminine style every day. 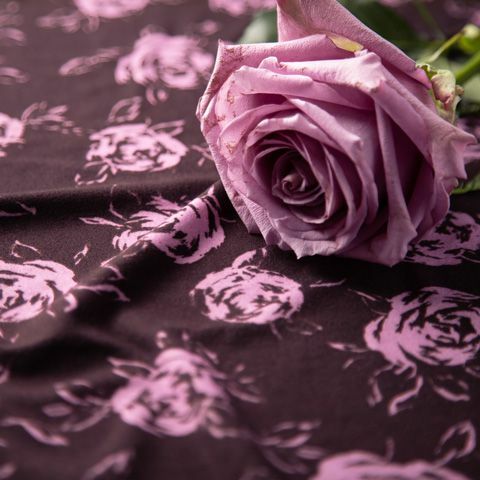 Celebrate your femininity with our charming cache-coeur dress in elegant rose print. 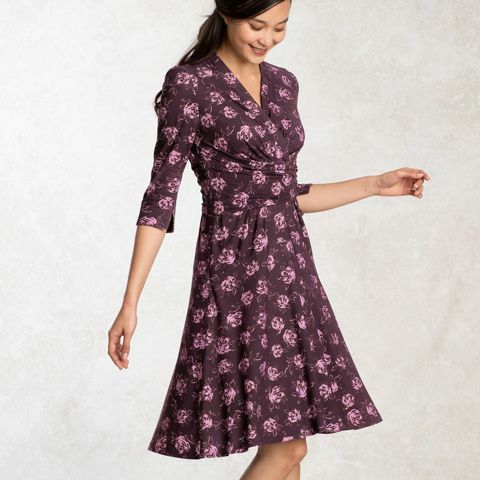 The built-in belt-style and curved yoke waist flatters your natural figure with a flared skirt.